The original title for this post was Hecho en Brasil, but then somebody (more smarter than me!) pointed out that people in Brazil don't speak Spanish, they talk Brazilian. So, I whipped out the old google translator and found it was actually Portuguese...wow...that was a long trip to get to the cheapest wagon in America when new. 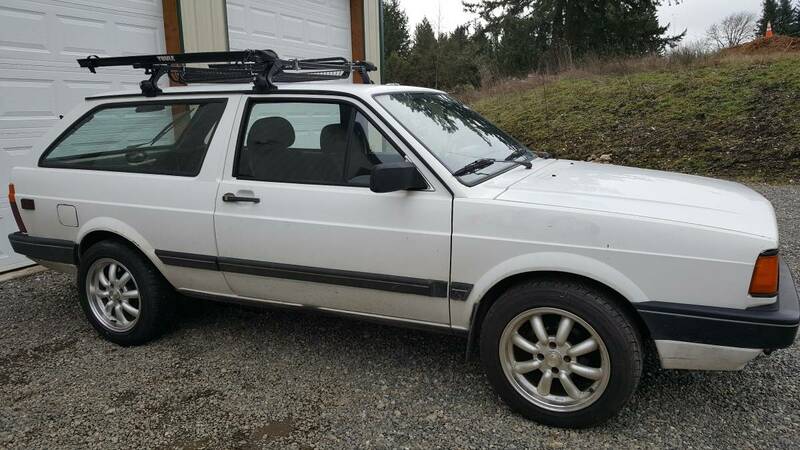 Find this 1987 Volkswagen Fox Wagon offered for $3500 near Seattle, WA via craigslist. Tip from FuelTruck. 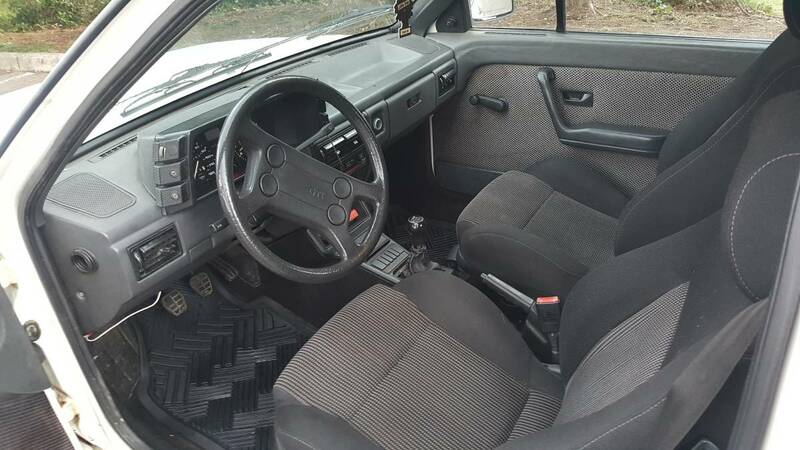 The fox wagon was only made for 2 years out of Brazil and are pretty rare. This is a fun car and turns lots of heads. Oh my. These were just too dang cool for a longroof junkie like me, all sorts of hypersalivation ensued whenever one of these would cross my path. In one of my 17y/o self fantasies, I had two of them. One dropped to the ground on Eibachs, all Tectonic and Neuspeeded out. The other lifted over a 4Motion swap, a hood lined with Cibies and a flywheel that weighed about as much as an evil stare. Air actuated door locks from Audi"
So, it's a 2.0 or a 1.8? Air actuated? I don't recall Audi/VW using a vacuum system on door locks, especially on a car as stripped down and basic as a Fox. Plus, I believe the wagon was built for 3 or 4 years. Still, quite rare. It had the Dasher engine and transmission still used in production in Brazil. Almost bought a new one in 88 until the dealer called me up the day I was supposed to pick it up and tacked on an additional $1,000 over the negotiated price. I went to look at one of these when they were new. It was winter in WI and when I got in to take a test ride, I could not get the seat belt to fit around me and my big winter coat. I have short legs and the seat was moved forward. I was more svelte in those days so that wasn't the issue. Never did drive it, and all I can remember about it was that the dash looked like my answering machine (for you whippersnappers, that's a big machine that sat next to the desk phone and had a tape in it to record incoming messages, black plastic with green and red blinky lights). As a longroof guy, I still think they look really cool! My first new car out of college was one of these, same color. Loved it but sold it to buy an MG. I’m not smart.